Over spelling homework one day, my ten-year-old announced that she didn’t want to go to Hogwarts. I remembered the lightning bolts and broomsticks doodled in her third-grade notebook margins for a year after I let her read Harry Potter and the Sorcerer’s Stone. She had asked for a scarf in Hufflepuff colors for Christmas that year. One day, she came home crying because her best friend had pointed a backyard stick at her and screamed Crucio. All was forgiven a day later when her friend found Bertie Bott’s Every Flavor Beans at a bookstore and shared her loot. “Sure.” I rub my forehead. A break sounds really good. She smiles at me sympathetically, then silently leaves the room. The bags were packed; they stood in a neat row across the entire front wall of the living room; weighed, tagged, ready to march. She’d been up until two filling them. The house had been a bustle at first, with friends bringing food and scraping hard water off bathroom faucets and staring while she tore everything out of that last suitcase to find a new way to make everything fit. from the reeds. Now from the shepherd’s well. My first thought upon waking each morning has been the same: Trek did nothing to prepare me for this. I groggily open my eyes to the clear morning sky, my sister stirring next to me and my little brother burrowing into his sleeping bag. The sounds of the awakening wagon train fill my ears. The familiar anxiety settles on me, an unwelcome guest. We dress quickly and eat a few bites, and then start moving east with the rest of the wagon train. I hate the first hours of each day, before the solar power-assist wagon wheels charge enough to provide some of the handcart’s propulsion. It has been two weeks since we set out from Salt Lake City, marching past burnt-out towns and razed fields. No pioneer stories or parades could have prepared any of us for this. But how could they? That was all long ago, before the wars broke out, before the pandemic swept across North America, before the earthquakes ricocheted across the Wasatch Front. Before the First Presidency letter circulated from house to house, with instructions on creating lightweight handcarts and heading as wards toward Missouri. Might let me see the wedding feast. To share your reactions and discuss this and other 2016 finalists, click here. We have twelve stellar pieces this year–short stories, essays, and poems. Some will inspire you. Some will challenge you and your notions of Mormon literature. Some will give you insights even as they make you laugh. In the comments to this post, we want to hear your thoughts and your reactions on the pieces. What struck you? What was interesting or original about a piece? What is the dialogue between the pieces? We invite everyone to chime in, including the authors. 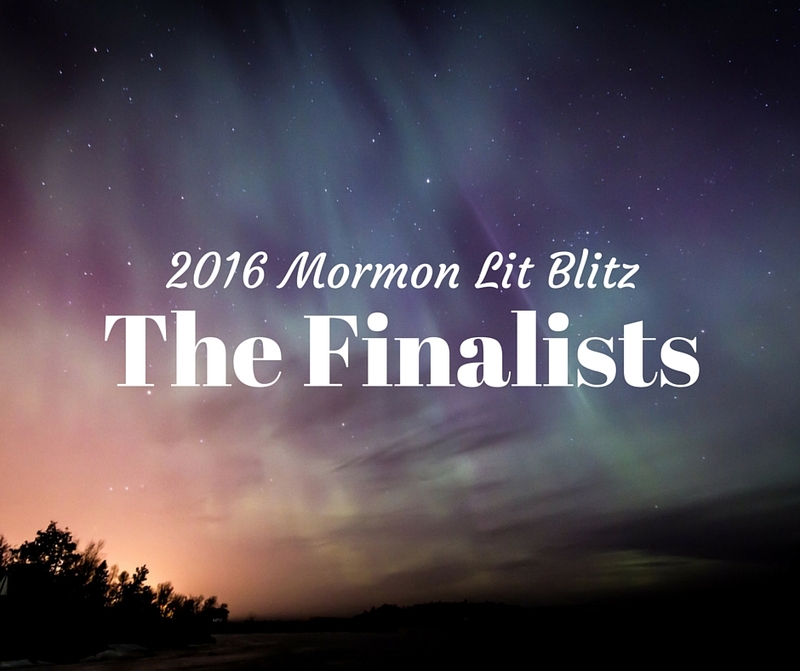 The Fifth Annual Mormon Lit Blitz will run from May 23rd to June 4th. We posted the longlist last week, and now we’ve narrowed the entries to the final twelve pieces which we will publish. Thank you to all who submitted to this year’s contest. Please join us on this page to follow the finalists. Voting will open on June 6th and close on June 11th. The winner of the contest will be announced on June 13th.